This is a gorgeous batt from Hilltop Cloud which I'm (slowly) spinning up so I can knit my own Camden Cap and join in the KAL over in the Ravelry group. It's a blend of 50% BFL, 20% Welsh Mountain Black wool, 20% Bamboo & 10% Recycled Bottle fibre. The colours are spot on for what I wanted; the point of this project is to make *me* something I will actually *wear*. 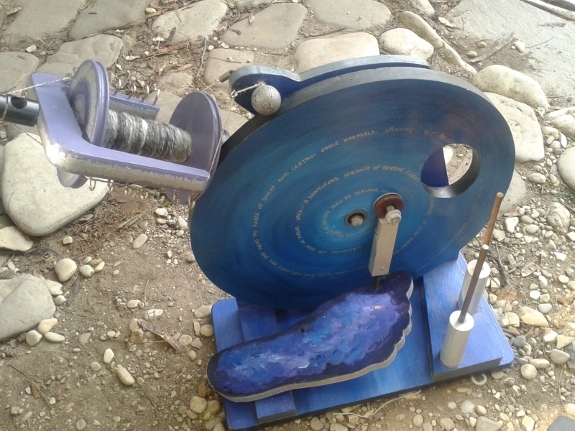 So, I dusted down my Hitch-hiker and had a wee practice spin. It's been a few years since I've spun anything and I'm more than a little rusty. But hey, this isn't about perfection, right? And this is it so far. 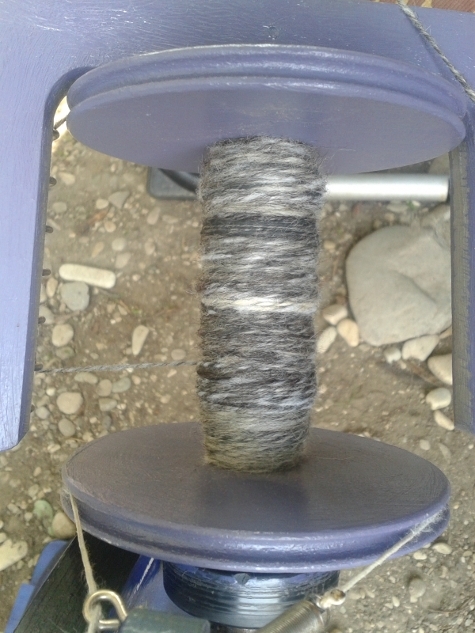 I haven't spun a great deal yet, only about 1/6th of the 105g of fibre. It's too tempting to sit and spin all day and there's a mountain of work to be done, so I'm squeezing in a bit of spinning here and there as time permits. The plan is to not only get a lovely yarn with which to knit my Hat, but also to have something that doesn't need to be perfect or meet a deadline or demand anything other doing something for the sake of it. I'm loving it so far, lumps and all.